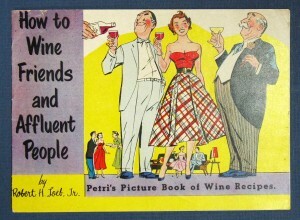 We here at Tavistock Books couldn’t agree more, especially with the latter two, and this month offer a list of old books [et al] that deal with old wines. 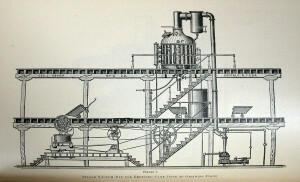 or at least wine produced decades, if not a centuries, ago. Many of the 44 items on the list are ephemeral in nature, since the list’s genesis comes from buying a small cache of California wine ephemera from one in the business prior to WWII. 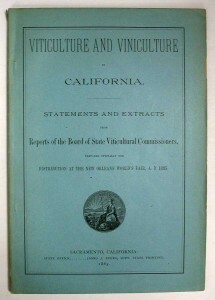 Speaking of which, indulge me an aside, wherein I puff our state’s viticultural products even though wine came to California with the Spaniards in the eighteenth century; Sonoma & Napa didn’t enter the game until 1857 and 1859 respectively. And they didn’t get any international respect until 1976, when California wine swept the competition at “The Judgement of Paris” in 1976. The rest, as they say, is “vintage” history. (1) James Gabler. WINE INTO WORDS. 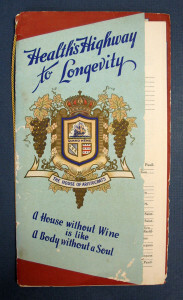 A History and Bibliography of Wine Books in the English Language. 2nd Ed . (2) Maynard Amerine & Axel Borg. 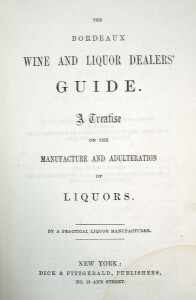 A BIBLIOGRAPHY On GRAPES, WINES, OTHER ALCOHOLIC BEVERAGES, And TEMPERANCE . (3) Lavonne Axford. ENGLISH LANGUAGE COOKBOOKS, 1600-1973. .
(4) Katherine Bitting. GASTRONOMIC BIBLIOGRAPHY. 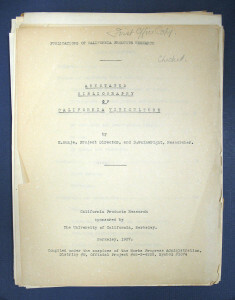 1939 . (5) Bob & Eleanor Brown. CULINARY AMERICANA. (6) William Cagle & Lisa Stafford. 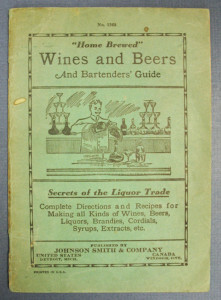 AMERICAN BOOKS On FOOD & DRINK 1739 – 1950. A Bibliography. .
(7) William & Liselotte Glozer. CALIFORNIA In The KITCHEN. . So enjoy the bouquet, have a sip and let us know how you like our vintage selections. Below you’ll find a few selected titles from the list. This entry was posted in Uncategorized on July 22, 2014 by tavistock_books.